The initiative could benefit soldiers and civilians alike. The longer it takes a battlefield medic to treat a severely wounded soldier, the less likely that soldier is to survive. To combat this problem, the Department of Defense (DOD) has typically focused on speeding up a medic’s ability to deliver care. But now, the DOD is taking a different approach — asking researchers to look for ways to slow down the human body’s biology until it can receive help. On March 1, 2018 the DOD’s Defense Advanced Research Projects Agency (DARPA) announced the Biostasis program, a five-year initiative aimed at extending the “golden hour” — the period of time between when a soldier sustains an injury and the point at which medical treatment is unlikely to prevent death. DARPA’s plan is to find ways to manipulate the body’s molecular biology to control how fast various systems operate. First, the research will focus on slowing individual cellular processes, but as Biostasis program manager Tristan McClure-Begley explained in a DARPA news release, the ultimate goal is to find a way to slow activity across all systems at roughly the same rate and without causing significant damage. If DARPA can meet its goal, the benefits would be tremendous — both on and off the battlefield. Transporting an injured soldier from the front line to a medical facility can be a daunting task. If soldiers carried an injection that could slow the body’s biological processes, they could administer it to an injured soldier right away, potentially providing that soldier with the ability to survive long enough to get help. Such an injection or other type of treatment could eventually find its way into the civilian world, too, with everyone from EMTs to sports medics taking advantage of the extra time. In the news release, DARPA even mentions the possibility of the Biostasis program leading to new technologies that could extend the usability period of drugs or blood products. 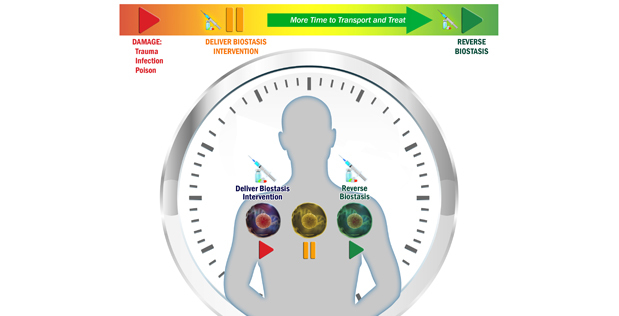 On March 20, DARPA will host a Proposers Day webinar during which researchers can learn more about the Biostasis program and ask any questions they may have. 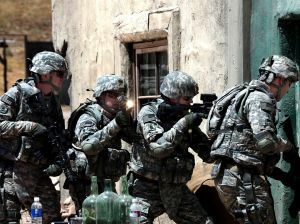 If everything goes according to their plan, five years from now, soldiers will have a much better chance of making it home after a traumatic injury.